Founder member of Scotland's ground-breaking comedy collective, The Funny Farm, Parrot has long perched on the shoulder of decency, shouting in its ear with his slightly-skewed invective and dark view of the world. One of stand-up comedy's great mavericks, Parrot has garnered much praise as he ploughed a furrow for others to follow; an early pioneer from the days when alternative comedy was a vast, unexplored frontier. Since then, Parrot has performed highly-acclaimed solo shows at five Edinburgh Fringe Festivals, headlined at some of the biggest comedy clubs across the UK  including The Stand, Jongleurs and the Comedy Store in London. Parrots massive influence on the modern comedy scene extends far beyond his own stand-up act, having written for such stars as Dave Allen, Jack Dee and Jo Brand. He has explored all comedy terrains - from TV to radio, both off-screen and on as a writer and performer of extraordinary class, with credits including The Stand-Up Show (BBC1), Rab C Nesbitt (BBC2) and Jonathon Ross Live (R1). His radio credits also include appearances on Mark Goodier and Mark Radcliffes shows and as co-host, (with Kevin Day), on Loose Talk  subsequently nominated for the Sony Radio Awards and the New York Radio Awards. Much like his hard-hitting, quick-fire stand-up performances, Parrots work schedule never lets up for an instant. 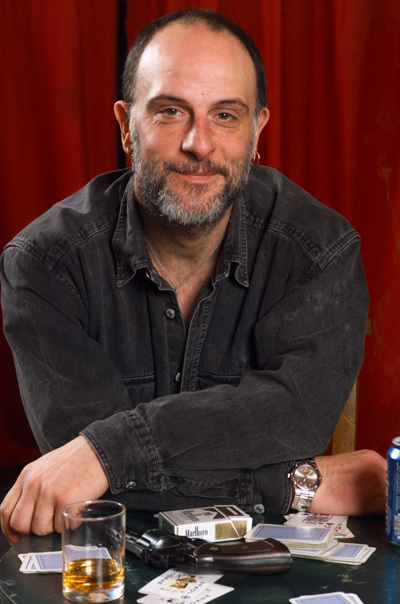 In addition to his regular work as comedy writer and script editor for the BBC, his 2003 live schedule took to the Glasgow International Comedy Festival and on tour throughout Scotland with Bruce Morton and Michael Redmond in their critically-acclaimed Long Riders show. In 2004 Parrot has successfully continued his circuit work and, due to popular demand, is once again setting off on tour in Spring 2005.